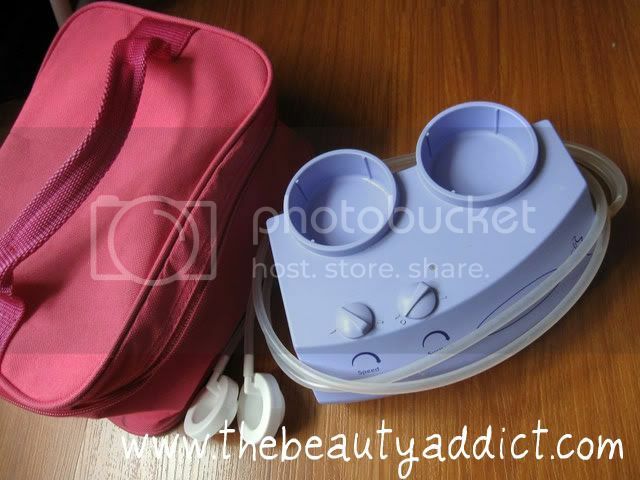 For an on-the-go breastfeeding mom, toting a breast pump is necessary to ensure continuous milk production. It can be a hassle sometimes. But for me, the benefits my little one can get from breastfeeding still reigns and I choose to sacrifice carrying an extra weight for him. 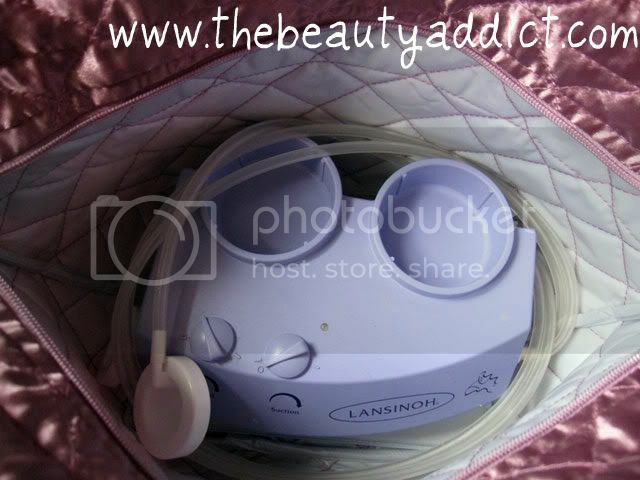 The Lansinoh breastpump is the best I've found. It's lightweight, cheaper and performs its function very well. It has never disappointed me on my 6 months of usage. 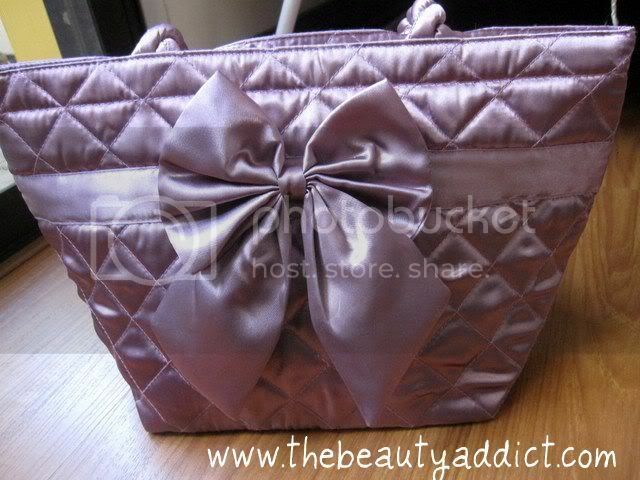 I used to carry it with this pink cosmetic bag I got from Watsons. The size of the bag is just enough for the pump. No room for the accessories and bottles that's why I was thinking of buying a bigger one. 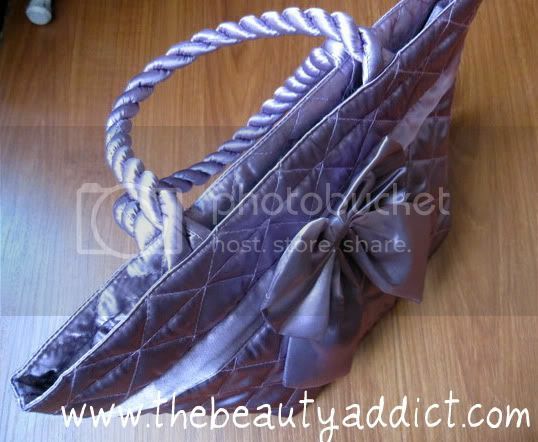 It's a blessing I got this purple Naraya Bag as a gift from the Vanity Vanity Fair I attended last week. The colors even match. It's heaven sent! I'm not a fan of bags with ribbons but I find it chic and elegant. The bag is obviously made from high quality materials. Dirt won't easily stick to it. The waterproof lining is also perfect if ever there are accidental spills in my milk bottles. I can now carry my pump, accessories and bottles all in this bag. Look at how nice the stitches were done. 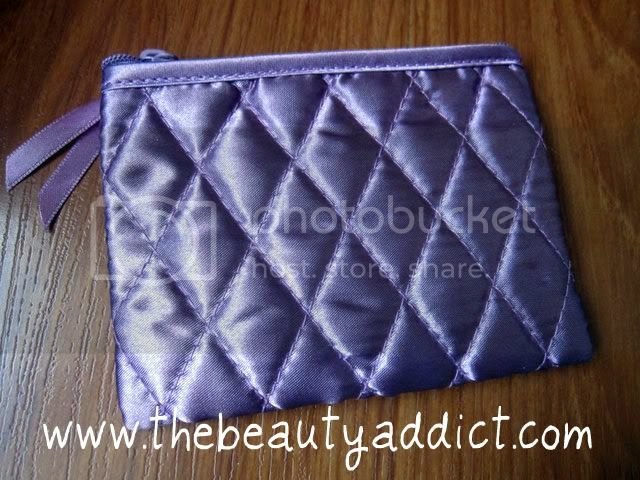 It even comes with a small purse for my coins, cellphone or cards. I've never been to their store at the SM North Edsa. But being a proud owner of one makes me want to pay a visit and check out what else they have to offer. 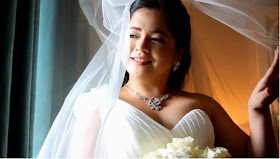 For the meantime, you may read Liz's post about it. 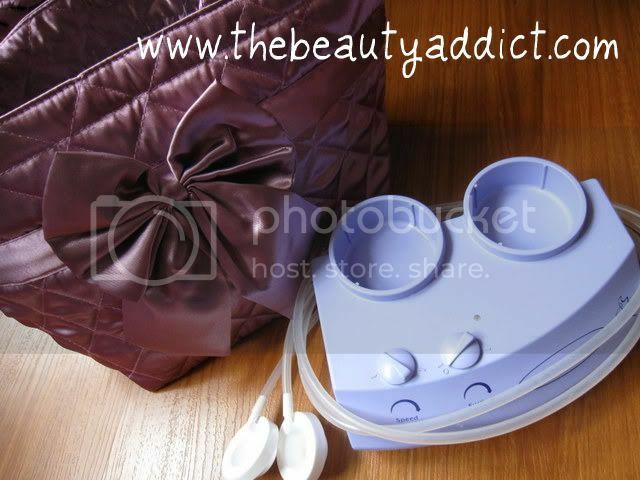 My breast pump is now sitting pretty on its new home! Did you find this bag interesting? Cute ng mga bags ng Naraya, I bought a couple for gifts way back at RP branch,t his one is so cute, I love ribbons!